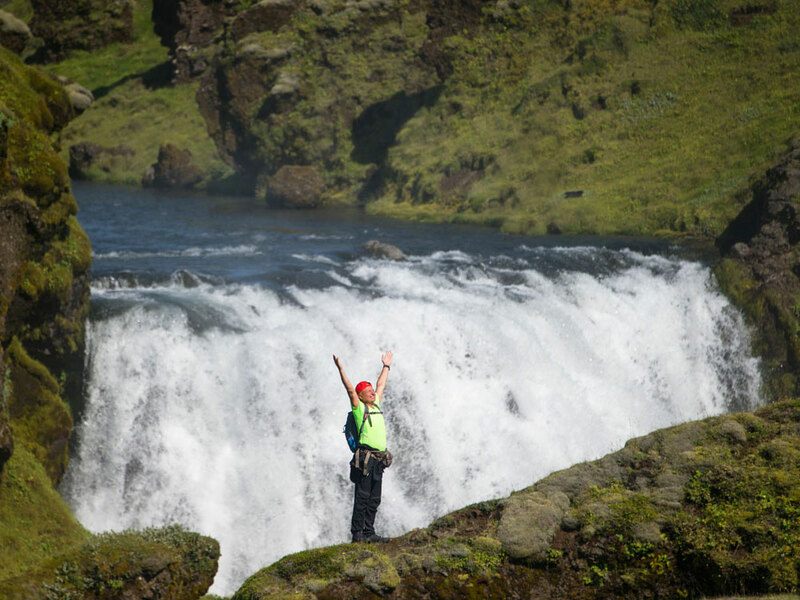 *when evaluating a similar and cheaper option presented as an alternative to our tour and giving the opportunity to get our tour for free, the program and cost of the full Iceland-Greenland tour, the number of days of the tour, the complexity of the program, the number of places to visit are taken into account. 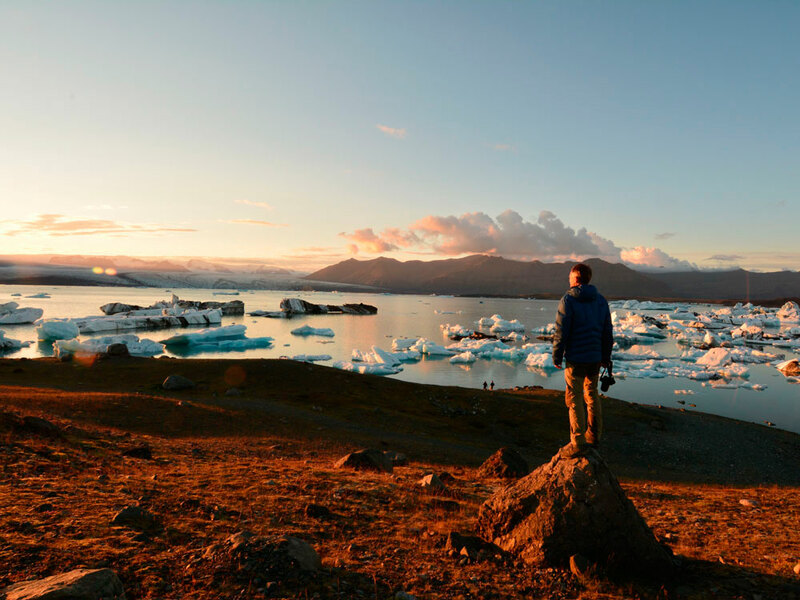 The convenience of the program is that you can choose as one tour - separately to Iceland or separately to Greenland, and combine them, which will give you an additional discount for both tours. About the beauty of Iceland heard all those who are interested in travel. 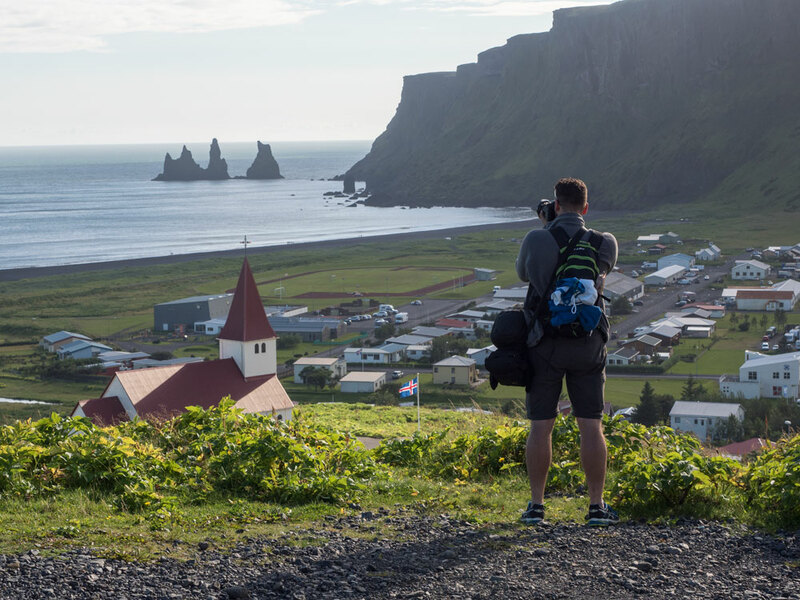 Waterfalls, geysers, volcanoes, icebergs, extraterrestrial landscapes - prepare for unforgettable sensations and do not forget to take the camera! 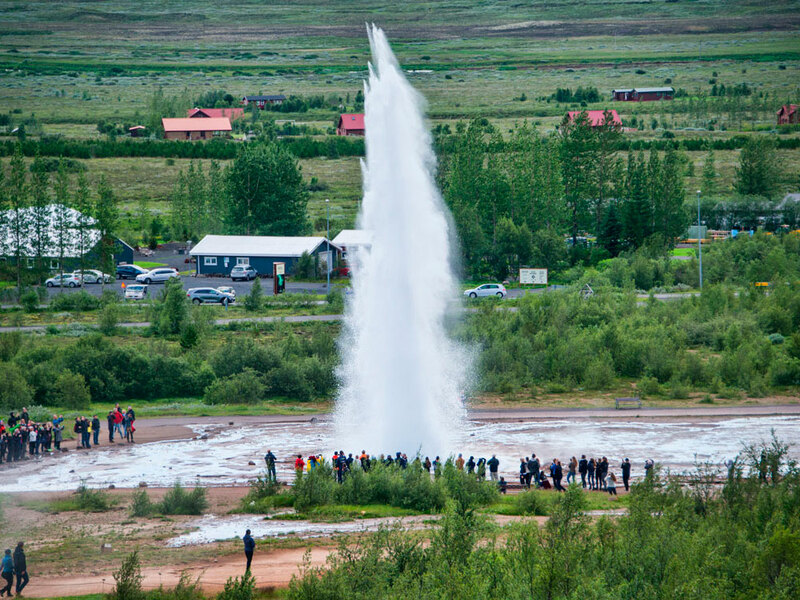 On a comfortable minibus, we will drive through Iceland and visit all of its most interesting natural attractions! A similar independent trip on a rented car will cost you at least 3 times more expensive! Well, after going on a standard tour, you will not see the 10th part of what we will see !!! Greenland is generally a terra incognita for tourists. After visiting Greece you will enter 0.5% of the inhabitants of the Earth who succeeded in it! But we are not going there for the sake of a tick! 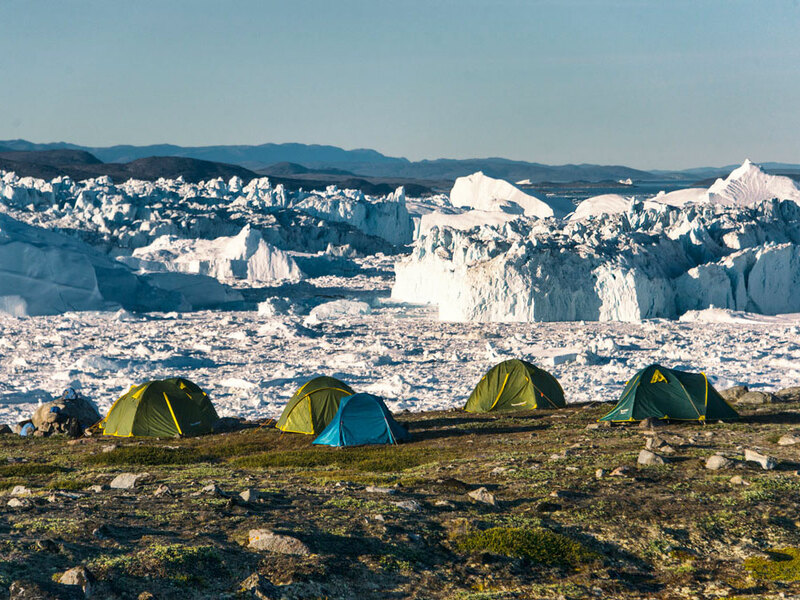 Greenland - one of the most beautiful and unusual places on Earth and get to know it, means to expand your horizons, get a new, unusual experience, in all senses of this expression - to leave the comfort zone to become a little better and even wiser. Picking up a group at the airport. Moving to a comfortable camping on a minibus, setting up tents, acquaintance of the group, nakomstvo with Reykjavik. For the rest of the day, we will go through its entire center and see all the interesting things that are in this city, good, the city center is very compact and is only a 20-minute walk from our campsite. Early rise. This, a very busy day, we will devote to the most popular tourist route of Iceland - the "Golden Ring". Haukadalur Valley of Geysers, Gudfoss Cascade Falls and Tingvetlir National Park & ndash; beautiful places in central Iceland and not see them & ndash; therefore, not to visit this amazing country. Early ascension and departure to the starting point of the ascent. The highest and most active volcano of Iceland rises above sea level by only 1491 meters, the climb is not difficult and takes 6-8 hours (including skusk), but the sensations that you experience will be drained with you for life! Hekla erupts more often than any other volcano in Iceland and the medieval inhabitants of the island called it "The Gates of Hell." 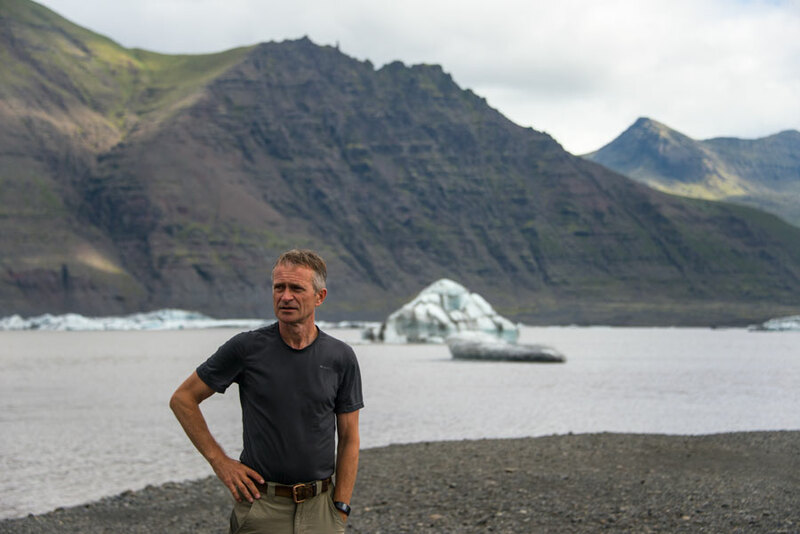 During the 1200 years that Iceland was inhabited by people, about thirty large eruptions occurred, and modern scientists, studying volcanic ash deposits, concluded that the volcano was active for 6600 years in a row! The last eruption occurred in 2011 and the traces of it are very impressive! 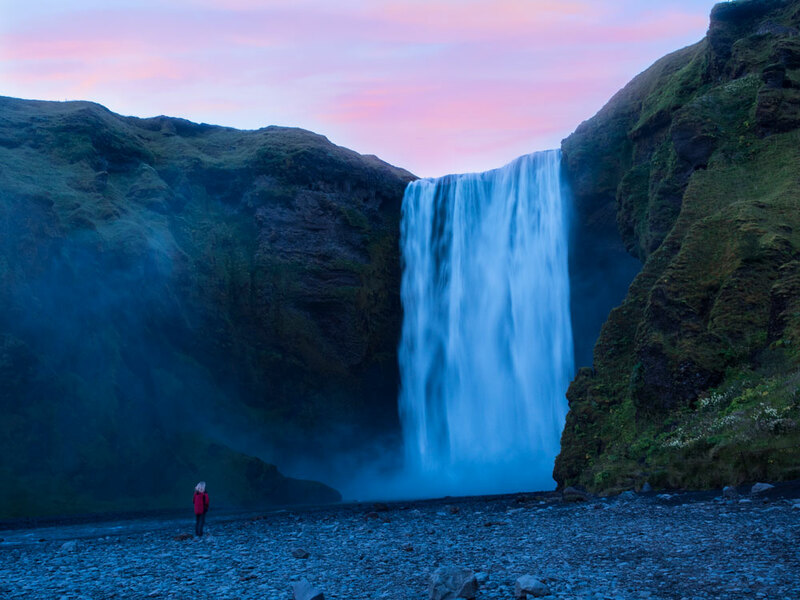 On the way back we'll stop by to admire the small but very special Selyalandafoss waterfall, and for the night we will stop at the campsite overlooking one of the most beautiful and large waterfalls in Iceland Skogafoss. On this day, we are waiting for a lot of interesting and beautiful places of Islam, concentrated near each other. We will spend the day exploring the Scougafoss waterfall, which is a unique sight, but we will not limit ourselves to them only, but we'll walk up the Skogau river (which gave the name of the waterfall) and see a whole cascade of other beautiful and unusual waterfalls, and also incredible beauty gorges, through which the river flows. Having left the waterfall for about 20 kilometers, we turn to the seacoast and after 5 kilometers we will find ourselves in Dirholia - the world of rock arches, fantastic views from a height of 300 meters to the endless black beaches and in the immediate vicinity of the colony of dead ends - ridiculous and very photogenic birds, behind photos which people go to distant islands. Here all in one place! 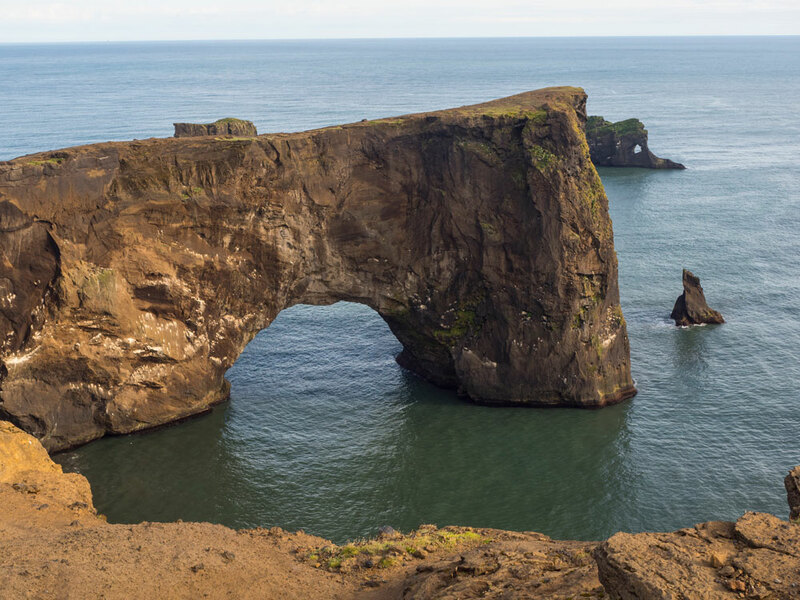 After exploring Dirholia, we will drive a few more kilometers and find ourselves in the place of Reinisfjara, where you can walk along the black sandy beach, make fantastic pictures of the coast, and see one of the wonders of the world, very close to the famous Irish "bridge giants" - basalt rocky ledges of regular shapes, as if carved into rocks by representatives of an unknown civilization. Scientists have an explanation for this natural phenomenon, but in any case, it's worth it to see! After driving a few more kilometers and making a stop in the camp of the village of Vic, famous for all the same beaches with black sand, bizarre cliffs of the sea coast, a colony of dead ends on them, as well as a beautiful church on the dais, with a viewing platform which offers a fantastic view of the village and the whole district. We will look into all these attractions before the evening, and spend the night in the camping - very comfortable and hospitable. We leave the camping on the ring road and after about an hour we make the first stop near the Fiadra river to take a stroll and admire the fantastic canyon through which this river flows. Then we come to the national park of Skaftafel, where we go for a short walk to the Svartifoss waterfall - a usual waterfall for Iceland framed with unusual basalt rocks, prepare dinner at the local camp site, and then make another small walk to the glacial lagoon, where we admire the huge language the glacier of Vantayöküdl, Europe's largest glacier. Our next stop is the iceberg of the icebergs Ökülsauröloon - a place fantastic and famous all over the world. 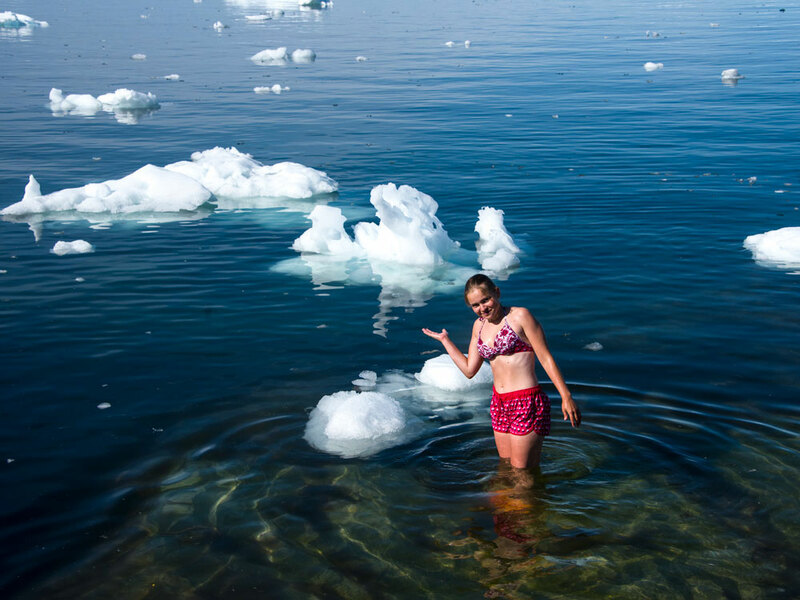 Here, all from the same Vantayokudl glacier, ice blocks break off and in the form of the aigbergs along the lagoon with unrealistically beautiful blue water, through a small isthmus, swim into the ocean. There is something to see and photograph, believe me! Those who wish can go on a tour of the lagoon by car-amphibian or a motor boat, but this is not cheap. Perhaps it is even more interesting to walk along the lagoon's shore, watching the icebergs and sea lions playing in the waters of the lagoon, lying on the beach amid pieces of ice thrown ashore. In general, the only problem here is to gather all the participants to go further :) However, this is the last point of our program, so that we can stay in the lagoon until late in the evening. The only thing we need to do this time is to reach the town of Höbn, where we will spend the night in a comfortable camping. In the morning we will make a fairly long journey (350 km.) 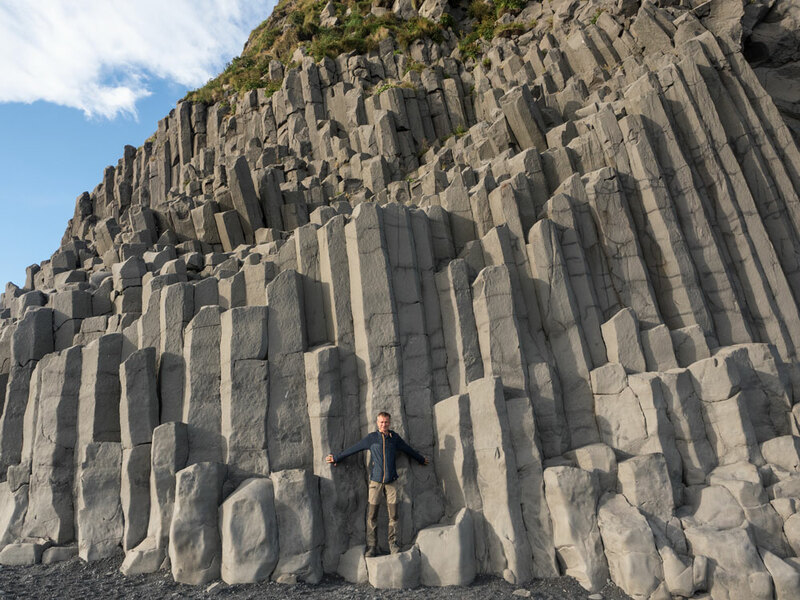 Along the entire northern coast of Iceland to get to several of the no less interesting natural attractions of this country. Firstly, it is an unusual Krafla volcano and the volcanic lake of Viti, with unrealistically turquoise water and a thermal station on the shore that converts volcanic thermal waters into thermal energy for the island's needs and throws steam into the air under high pressure, which turns an already unusual landscape in a truly fantastic. 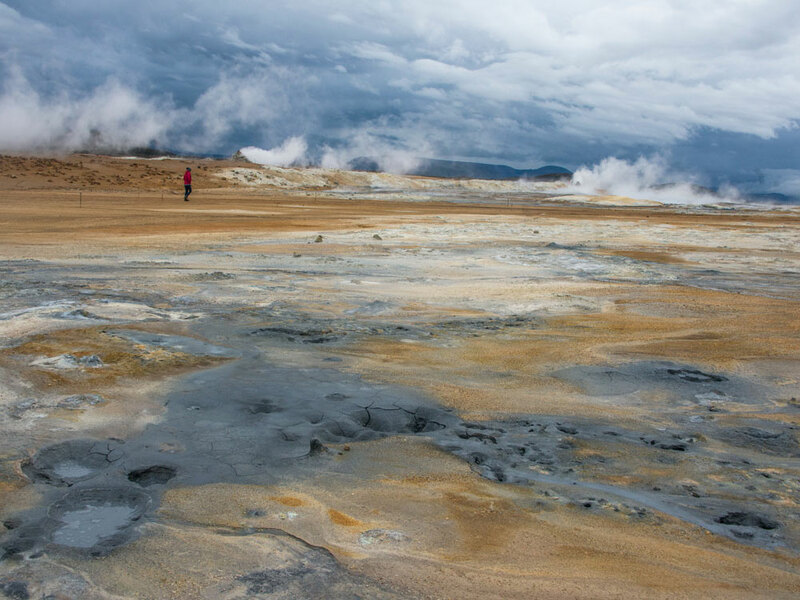 Secondly, it is the valley of the geysers Namafjall Hverir: a territory with a lot of different thermal springs and geysers: mud, steam, water. Here, everything is bubbling, bubbling and spouting the streams of hydrogen sulphide vapor - the cosmos in its pure form, even in Kamchatka, in the famous valley of geysers you will not see this. And on the way to these sights we are waiting for a variety of spectacular scenery, we will often stop to admire them and take delightful pictures, so that the long road will not seem so long and heavy. Overnight in a comfortable camping near Lake Myvatn. 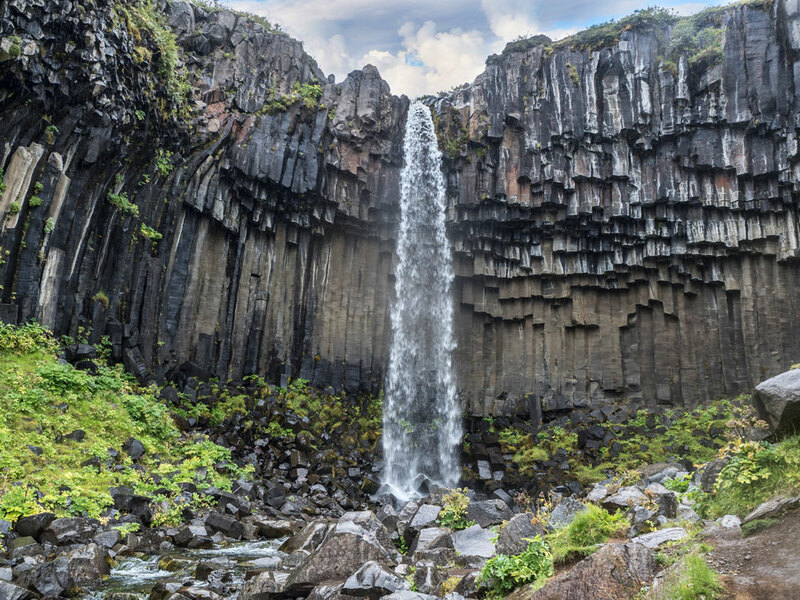 In the morning we go to the "Black Fortress" Dimmoborgir is a natural landmark, lava formation, which, according to legend, is the gateway to the underworld, and then we will visit the grandiose waterfall Godafoss (God's waterfall). Afterwards we will go to the town of Husavik, from where sea excursions to large whales are organized. This is an unforgettable sight, which must be visited. The duration of the tour is 3.5 hours, the cost is USD 100 per person (the cost of the tour is not included in the tour price), but you will not regret spending this money - guaranteed! 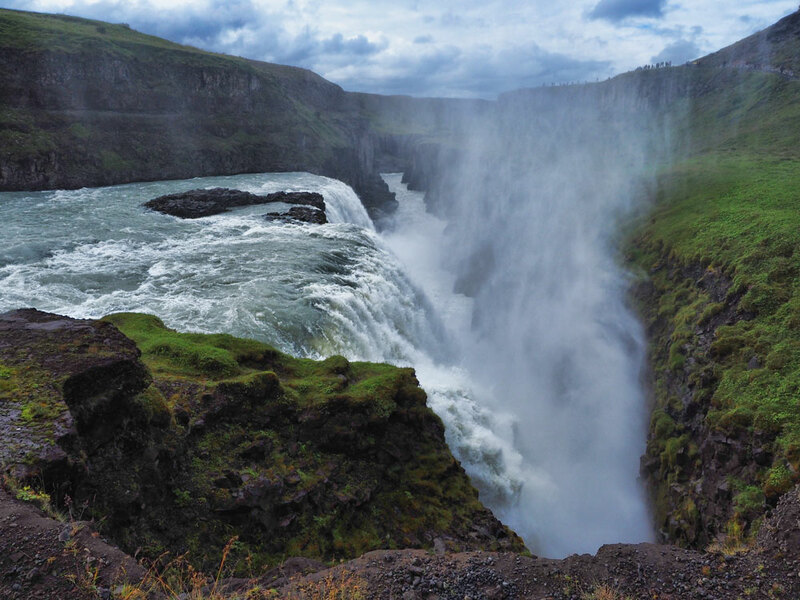 After the tour we go to the city of Akureyri - the second largest and most significant city of Iceland, where we will spend the night in a large and comfortable camping. Today we again have a fairly long pass on the western part of Iceland, but will not get bored - landscapes outside the window will delight and delight on the continuation of the whole journey. 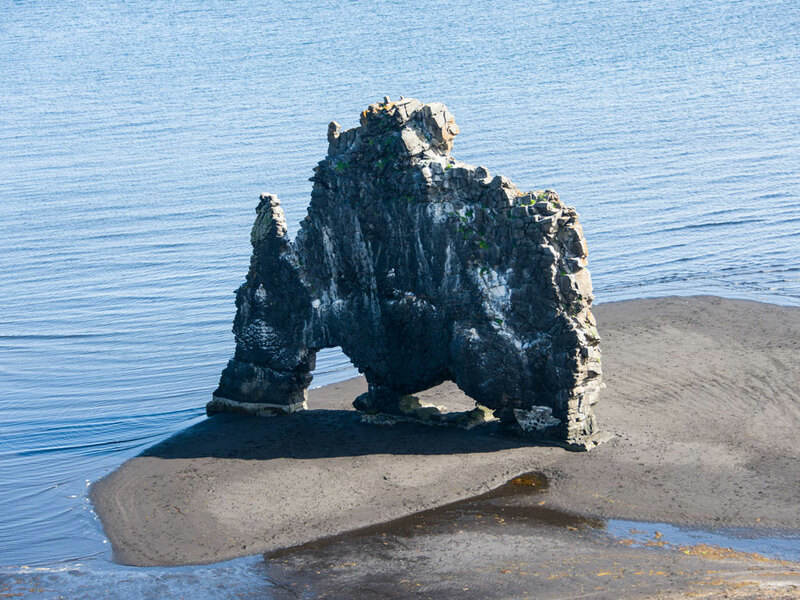 After 180 km, we will turn off the main road and on the primer we will go to the place of Khvitserkur, where on the black sand coast there is a stone elephant - a very unusual and beautiful rock, for the contemplation of which tourists are ready to travel hundreds of kilometers. Next to the rock, it is only 300 to 400 meters walk, there is a rookery of seals, as well as fur seals - curious animals that swim very close to people and sometimes even slightly posing photographers. Towards evening we will return to Reykjavik, but without stopping at it, we immediately go to one of the most famous sights of Iceland - a natural, but man-ennobled - Blue Lagoon. These are thermal springs with curative white clay and warm blue water at any time of the year, turned into a spa. Those who wish can swim in these sources, and those who do not want to do this will be able to walk around and enjoy the beauty of this interesting place, which, in the rays of the setting sun, is beautifully special, cosmic beauty. In the Haluba lagoon there are all conditions for a good rest after our trip: cabinets for changing clothes, terry towels, sun beds, a bar with a free cocktail, and healing white clay. 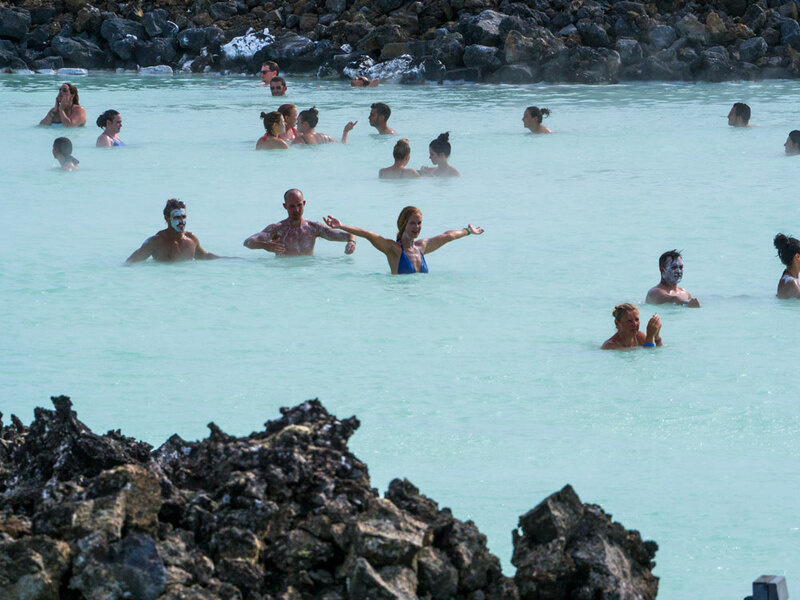 The cost of visiting the blue lagoon is about 80 Euros (not included in the tour price), but you will never regret spending this money - guaranteed! 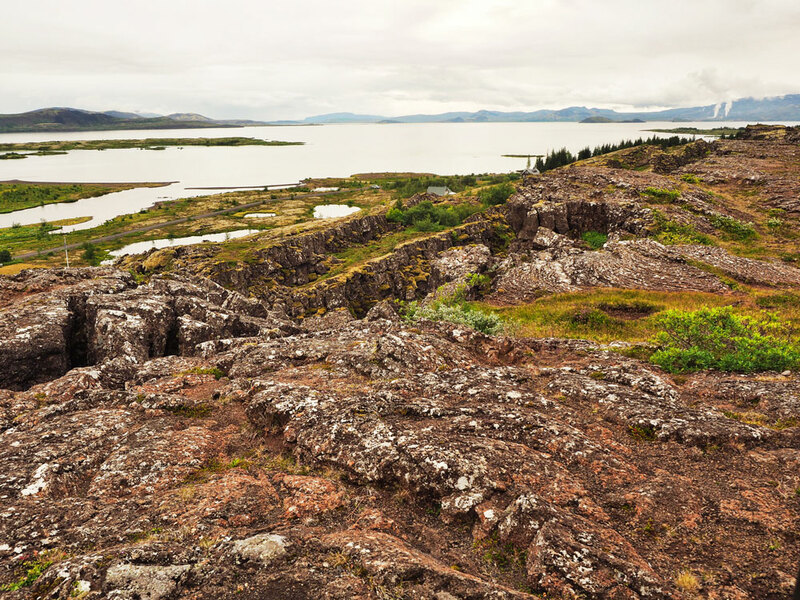 We return to Reykjavik, overnight in an already familiar, hospitable and comfortable camping. In the morning we fly to the city of Ilulissat, at the airport of which we meet with that part of the group that chose only the Greenland part of our modular tour. 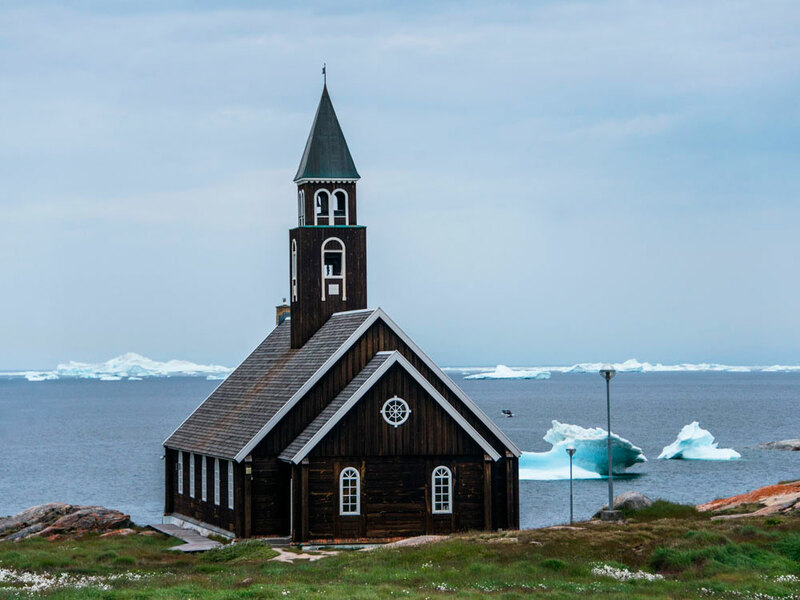 Ilulissat is the third largest city of Greenland with a population of about 4,500 people, located on the shores of the Illulissat fjord, which in 2004 was listed by UNESCO on the World Heritage List. Huge icebergs water is stranded at the mouth of the fjord near the city. These icebergs break away from the Jakobshavn glacier, the most productive glacier in the northern hemisphere. And here Knud Rasmussen, a well-known polar explorer, was born, who distinguished himself by having passed the northern sea route on dog sleds. Well, Cafe Inuit, you can taste a steak from a whale or a Greenland musk ox, it's worth it, by the way, as a dinner in a not very expensive European restaurant. Trekking along the ice fjord of Ilulissat. 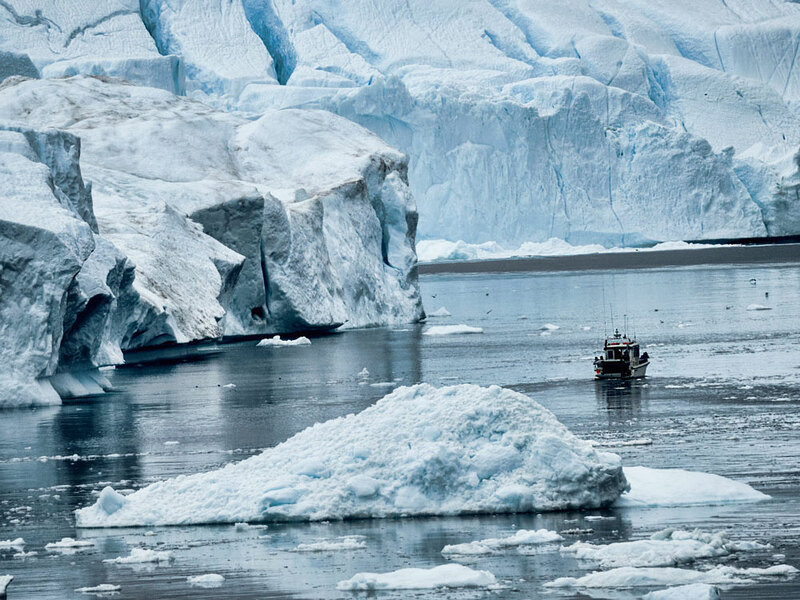 We go to the very heart of Greenland - the place where all these unusual icebergs are born. The road begins along wooden bridges, but then the bridges end and further the path winds among the stones and stony ravines. It is not easy to follow it, but after the Icelandic tracks this way will not seem very difficult for us. In the evening we return to our cozy apartments. This day we are fully dedicated to sea excursions. Their choice in local excursion bureaus is great - for every taste and, most importantly, a purse. You can go on a boat to the island of Disco Bay for the whole day and from the deck to see fantastic icebergs the size of a good skyscraper, sailing alongside, or you can take an inexpensive three-hour excursion and go swimming between nearby icebergs at sunset - also a fantastic sight! You can swim between icebergs by canoe or fly over icebergs by helicopter ... Everyone will choose their own entertainment, but even if you are not ready to spend money, walking through Ilulissat, with a detailed study of the life of the local population, you will enjoy and a lot of new, unusual impressions . The cost of sea excursions - from 100 to 1000 USD per person (the cost of the tour does not include), the cost of aerial excursions - from 900 to 1800 USD (the price does not include the tour). Another night in the already familiar apartments. Ilulissat - the tourist center of Greenland, but to visit only it, means not to get a full picture of this huge and diverse island. Therefore, in the route across Greenland, we included an internal flight and another city - the capital of Greenland, Nuuk. Transfer to Ilulissat airport by taxi and we fly to Nuuk. Transfer from the airport, accommodation in the apartments and we are going to explore the city. 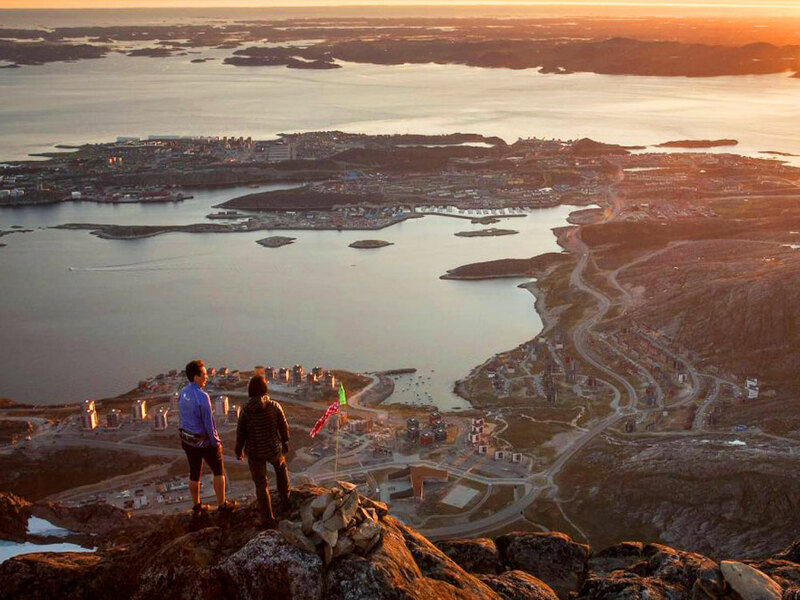 The capital of Greenland, Nuuk is a scrap of civilization among millions of square kilometers of ice deserts, wild northern winds and a vast sky. 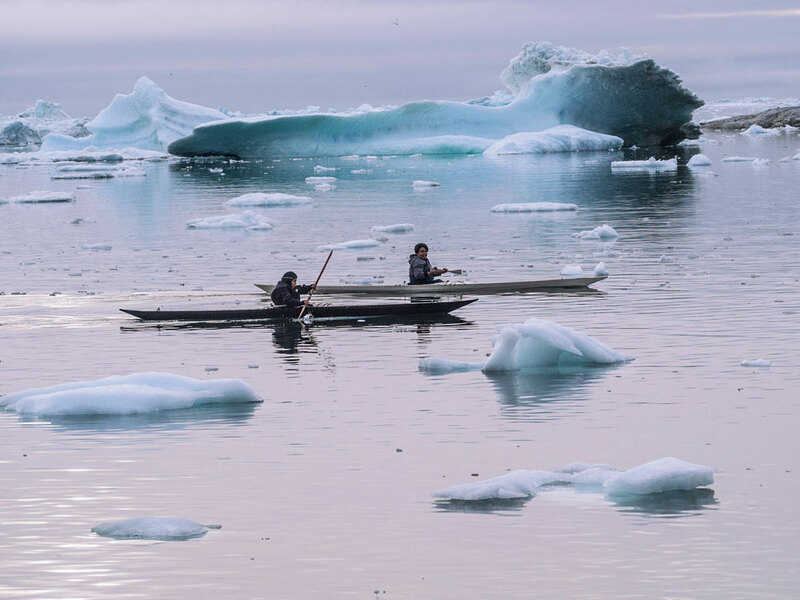 It is filled with a mixture of authentic life of Inuit local people with their ancient traditions, harmoniously combined with modern technologies and a variety of cultures. Fine restaurants where you can find dishes that are impossible in other cities of the world, for example, meat of the northern seal with Thai spices, fashion boutiques and mummies in the National Museum - everything is unusual and interesting here. We will definitely try the local beer at the largest brewery in Greenland, learn about the urban Arctic life and the movement towards the independence of Greenland, evaluate the new and old works of Inuit culture in the Art Museum. The capital of Greenland is surrounded by low mountains, climbing which is not difficult, but the views from them to the city and the surrounding nature are amazing. We will not fail to take this opportunity and all day will devote a leisurely, uncomplicated, but very interesting tracking on the outskirts of the city. We'll spend the night again in a comfortable hotel. This day we leave for self-selection of participants. Someone can go on another sea excursion, someone will rent a bicycle and make a walk around the city and its surroundings, someone will fly on a helicopter tour, and someone will continue to study the cultural heritage of Inuit in the museums and cultural center of Catoac "Nuuk is not a small city and everyone will find something to do in their hearts and financial possibilities. Flight to Copenhagen, then Copenhagen - Your city. group and individual photos of each participant, made during the whole trip to professional photographic equipment and provided electronically. other costs not listed in the "price includes"
The pedestrian part of the tour is not difficult. We will walk light, the maximum distance of walking is 12 km. in a day. This means that having minimal physical training, you will be able to withstand all field trips without any problems. 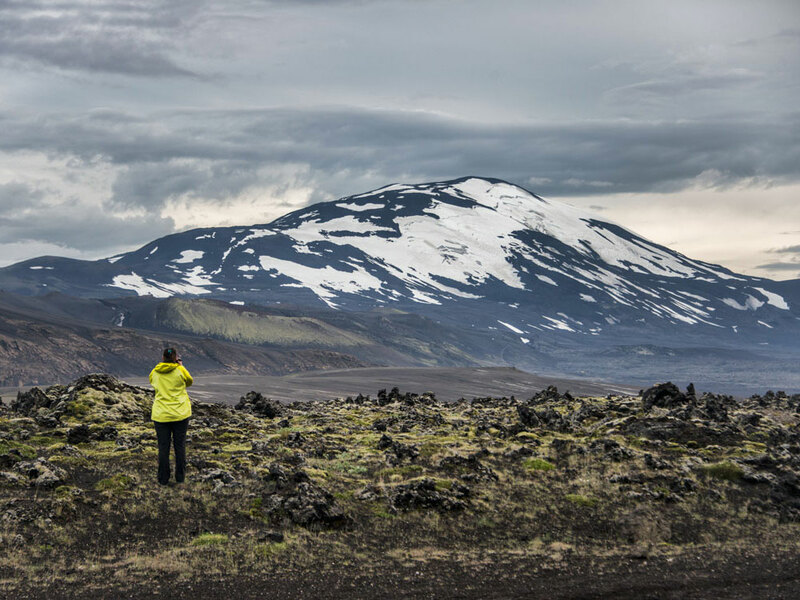 Even climbing Hekla volcano, although it will be difficult for unprepared participants, but is accessible in the sense of physical exertion to any healthy person. It is very important to know and understand: Iceland and Greenland are northern territories, the weather there does not spoil the warmth and sunny days. The air temperature during the day will not exceed 12 degrees of heat, at night - from 0 to 10 degrees of heat. Rains, winds, fogs - almost guaranteed. Any hiking out can take place in the rain, sometimes strong, you will blot and before coming "to civilization" you will not be able to dry clothes and shoes. In addition, all overnight stays - in tents ! In Iceland - in the campgrounds, where there is a shower (sometimes - for extra money), toilet, kitchen, Wi-Fi (not everywhere). 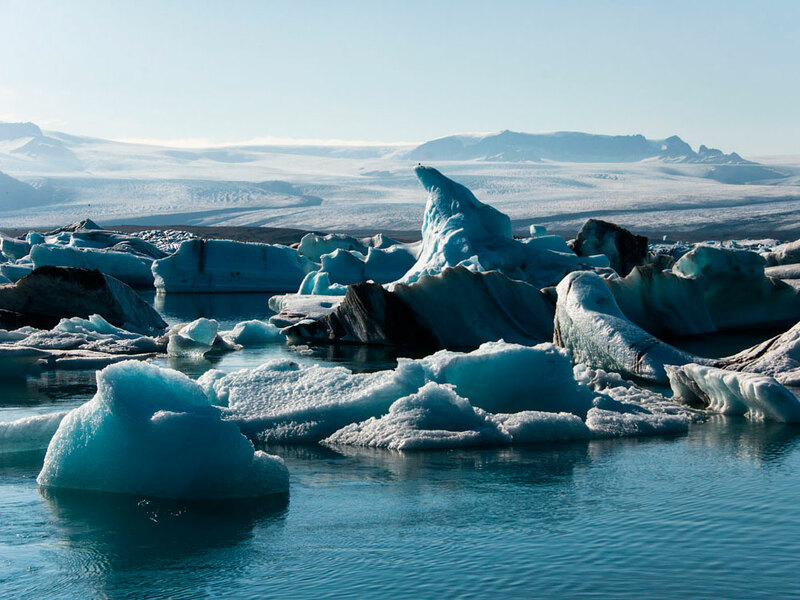 If you are pampered or do not fully understand what it means to stay in a tent for a long time, you better refrain from participating in these tours, especially in Iceland! It will be hard and uncomfortable for you and us with you. Depending on the weather, delays in air flights, problems with roads and transport, the instructor has the right to adjust the route, excluding some items that were planned by the program! At the same time, the initiative of the participants to change the program is NOT allowed! If you are not ready to follow the stated program, you are not ready to trust the instructor, you better choose another tour or travel independently! Since the weather in Iceland and, especially, in Greenland, is full of surprises, we recommend to go seriously to the selection of clothes and shoes. For this tour, you should definitely have the following outfits and equipment: hiking waterproof trousers, fleece, trekking boots, hat, thermal underwear, warm sleeping bag (overnight stays can be quite cold), membrane jacket, light down jacket, gloves, trekking sticks, headlamp , personal thermos. Because of the large number of rains, you must also have a raincoat (or other reliable protection from the rain in field conditions) and a protective cover for the backpack. To book a place, a prepayment of 30% of the tour cost before it starts if more than 45 days, and 50% of the cost, if, prior to the start of at least 45 days. Prepayment is returnable in 45 days or more prior to the tour irretrievable and, unfortunately, less than 45 days before the start of a tour if the return is linked to your refusal to participate (for whatever reason). If the hike / tour will not take place due to our fault, because not form a group or force majeure, the advance payment, you will be guaranteed to be returned in any case.